Legacy Inspection Training has been preparing inspectors in Illinois since 2003. We offer the best education for the technical skills necessary to pass the Illinois Home Inspectors exam and to successfully operate a home inspection business. Included are bonus units encompassing marketing and business skills necessary to run a strong inspection business. In a home setting, you will learn all the skills required to become a licensed home inspector, with intense concentration on the technical and business skills necessary to pass the Illinois home inspector’s exam and get your Illinois home inspector’s license. You will work at your own pace being guided by our easy to follow 15 unit program. When you have mastered these essential skills, you will schedule your final exam at a time of your convienience. You will then schedule your Field Training, at your convenience. You will learn hands on technical instruction and have face to face training with our team of licensed instructors. 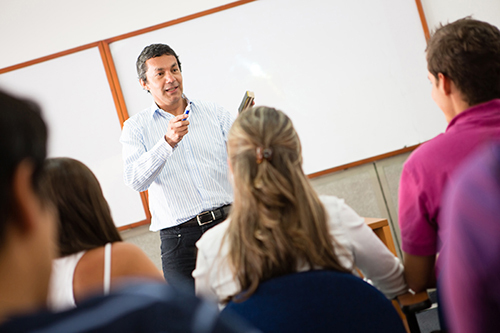 Legacy offers our 3 hour and 6 hour classroom sessions each November encompassing both technical and business skills. Our classes our designed to offer practical training that is useful in your day to day business. We also offer 4 home study courses for your convenience as well. Our panel of experts comes from both the construction world and the business community. These sessions must not be missed for the inspector who is serious about his business. State Licensing of the Home Inspector Profession began in January of 2003. Any person practicing home inspection in Illinois must be licensed by the State. The profession is under the auspices of The Illinois Department of Financial and Professional Regulation. Any person performing inspections without a license has committed a crime and is subject to prosecution by the state. In order to obtain a license a person must complete a state licensed pre-licensing class and must pass the state home inspectors exam. The pre-licensing classes are held by Legacy Inspection Training every other month. The state exam is administered by PSI on a daily basis at certain H & R Block offices throughout the state. PSI charges $225 to take the test and reservations for testing are required. No one will be seated for the test without proof of completion of the Pre-licensing Class. Once the test has been passed, both the state test results and our Pre-licensing Transcript with seal are submitted to the state and the license will be issued usually within 10 days. 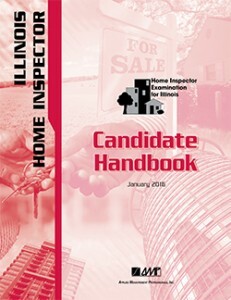 All Home Inspector licenses in Illinois expire on November 30 of even numbered years. Learn how well a home has been maintained, how livable it is, how safe it is, and what improvements must be made to it. Learn that no home, new or old, expensive or modest, is exempt from the dangers of radon. Learn about harmful levels of radon. Learn the dangers of mold in homes that can affect the health of every occupant. Learn the benefits of testing your home for toxic mold due to past water damage. Since 2003, we’ve trained over 500 new inspectors and provided continuing education to nearly 1000 established inspectors. We also run our own Home Inspection Company.